Find out what's on this school holidays for Christchurch children. Check out the holiday programmes and activities at our libraries and learning centres, and shows and performances for kids. Visit our page on library and learning centre holiday programmes. The Craft Room school holiday workshops include flower crowns, and unicorn dream catchers. Find a school holiday OSCAR programme (Out of School Care and Recreation). Search CINCH, our Community Information Christchurch database, for more Canterbury holiday programmes. Kid-friendly movies on in the holidays include: Shazam, Little, Missing Link, The Lego Movie 2: The Second Part, and Wonder Park. Check out Christchurch City Council family events for more kid-friendly goings on in the school holidays. Some of these venues are free, but others have a entry fee. There is more information on their websites. Playgrounds as listed in Find:Chch. 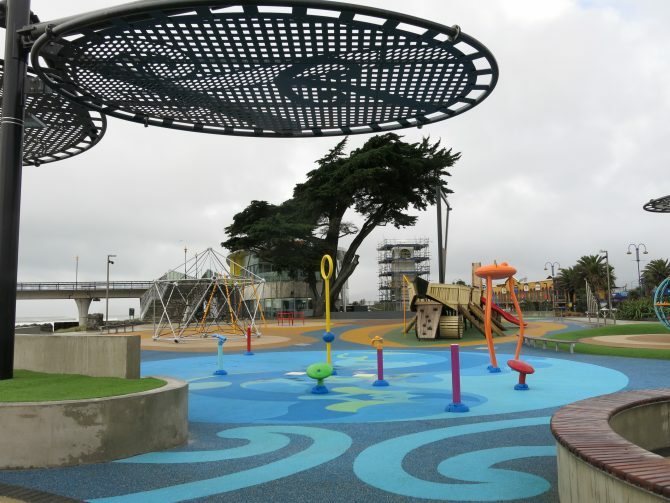 The Margaret Mahy Family Playground - Tākaro ā poi and the New Brighton Beachside Playground are popular destinations. Rutherford's Den at The Arts Centre. Interactive, science-themed family fun. For more events and activities, search Eventfinda.